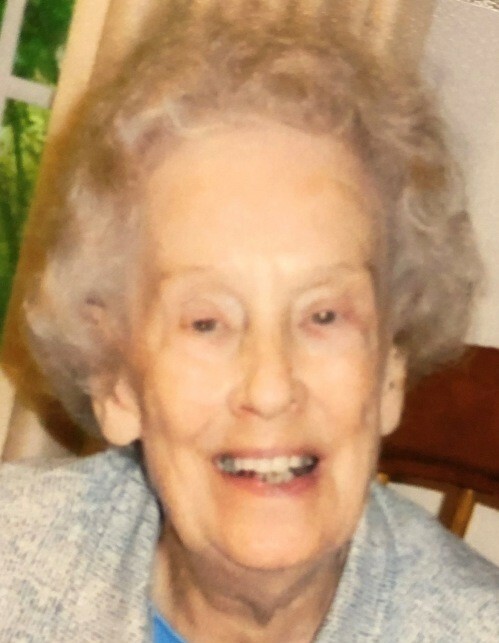 Wanda Allbritten Barnhill, age 90 of Murray, KY and longtime resident of Puryear, died Saturday, April 13, 2019, at the Anna Mae Owen Residential Hospice House in Murray, KY.
She was a Christian and a lifelong member of the United Methodist Church. She formerly worked at Farmers Bank & Trust in Puryear and later became the city recorder for the city of Puryear. Wanda was a member of the Maude Harker Sunday school class of Puryear United Methodist Church. She was a former PTA president at Puryear School, she enjoyed quilting, and was an avid golfer. She loved genealogy, traveling, had a thirst for learning, and she loved her family and friends. Wanda was born May 28, 1928, in Hazel, KY, to the late Lorenzo Dow Wall and the late Bertha Richard Alexander Wall. She was first married July 2, 1949, to William Rex Allbritten, who preceded her in death on March 10, 1992. She later married Alton Leon “Lee” Barnhill, who preceded her in death in June of 2001. She is survived by one son, David (Linda) Allbritten of Murray, KY; one brother, John E. (Lillie) Wall of Nashville, TN; four grandchildren, Nathan (Jodie) Brannon, William Isaac Allbritten, Stephen (Kathleen) Allbritten, and Sarah (Carson) Strother; four great grandchildren, Mary Brannon, John Brannon, Graham Rex Allbritten, and Quinn Allbritten; and several nieces and nephews. In addition to her parents, first husband, and second husband, she was also preceded in death by one daughter, Jerrye Ann Brannon; one son, George Wall Allbritten; four sisters, Melva Driver, Cordie Hamrick, Rubena Snow, and Margie Brandon; and two brothers, Alvis Wall, and Fred Wall. Arrangements will be handled by Ridgeway Funeral Home, 201 Dunlap St., Paris, TN, 38242. The body is to be cremated. Memorial visitation will be Friday, April 19, 2019, from 12:00 pm – 3:00 pm at Puryear United Methodist Church, 114 West Chester Street, Puryear, TN 38251. The memorial service will be Friday, April 19, 2019, at 3:00 pm at Puryear United Methodist Church, with Rev. Jim Stahler and Rev. Dean Emerson officiating. Honorary pallbearers will be Roland Alexander, Glenn Jones, Ricky Rudolph, Phil Routon, Tyson Harris, Steve Girsky, Ed Evans, Bob Saywell, and Tommy Ball. Burial will follow the service in Puryear City Cemetery in Puryear, TN. Memorials may be made to: National MS Society, P.O. Box 4527, New York, NY 10163 / nationalmssociety.org or Anna Mae Owen Hospice House, 803 Poplar Street, Murray, KY 42071.